Martin is a 'Grade A' Driving Instructor which is seen as an accolade within the driver training profession and the highest grade awarded by the Driving & Vehicle Standards Agency (DVSA) the governing body of approximately 45,000 Approved Driving Instructors in the UK. Having obtained a Degree in Driver Education, Martin has a solid background of the Driver Training Environment working with novice, experienced and corporate fleet drivers and driving instructors at all levels. Martin is DVSA O.R.D.I.T Accredited for Part 1, 2 & 3 of ADI Training and is listed on the Official Register of Driving Instructor Trainers. This register acknowledges and continually reassesses the quality of the training offered by WSM Driver & Instructor Training. Martin has been interviewed by BBC Radio Oxford on many occasions discussing driver training he also presents at many National Road Safety Training Initiatives. Our business at WSM Driver & Instructor Training is working in synergy with companies, their management teams and their drivers . We specialise in Driver Risk Assessments and Road Risk Management. Our aim is to educate employers and employees at all levels to the risks associated with driving on company business. In conjunction we demonstrate through our in house and on road driver training courses, methods of how to reduce business running costs associated with company vehicle drivers. 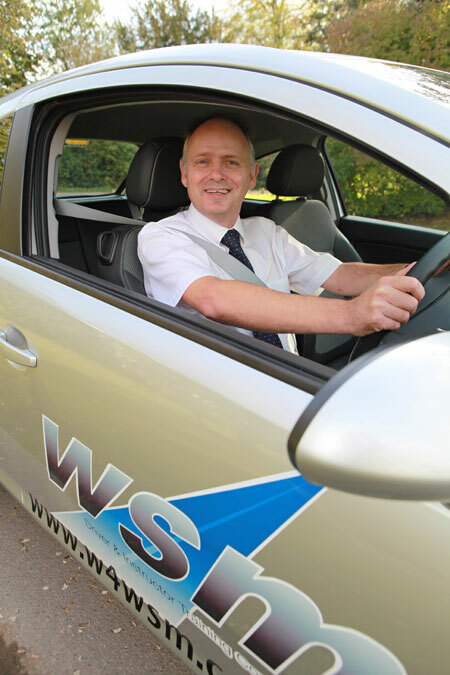 WSM Driver and Instructor Training also coach potential and existing driving instructors for those that work within the Learner Driver and Fleet Driver Training Arena. The Trainers that work with WSM Driver & Instructor Training to support our clients are knowledgeable, well qualified and experienced within the Driver Training profession. This is to ensure that the training that is presented by our trainers to all our clients is to a high standard. As a business we firmly believe that the training of new or existing driving instructors and the further training of experienced drivers to the highest possible standard assists road risk reduction in the interests of road safety which affects us all.